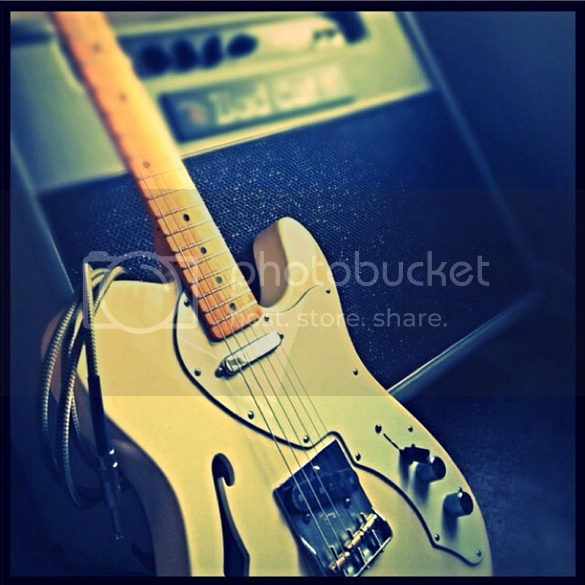 Discussion in 'Guitars in General' started by cookedbutok, Feb 25, 2012. Anyone else have one? I loved how light it was and the vintage single coils on it. 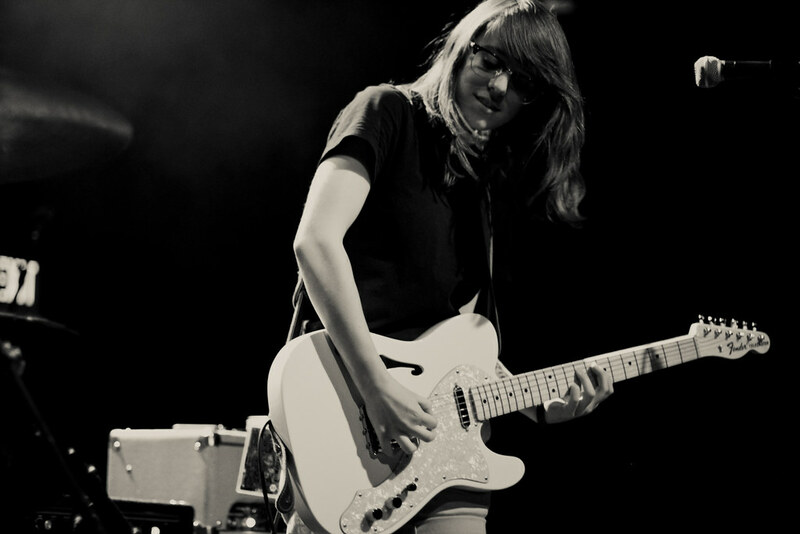 Plus, i've always wanted a Oly White Telecaster. All I can say is...there's mojo all over my living room right now. 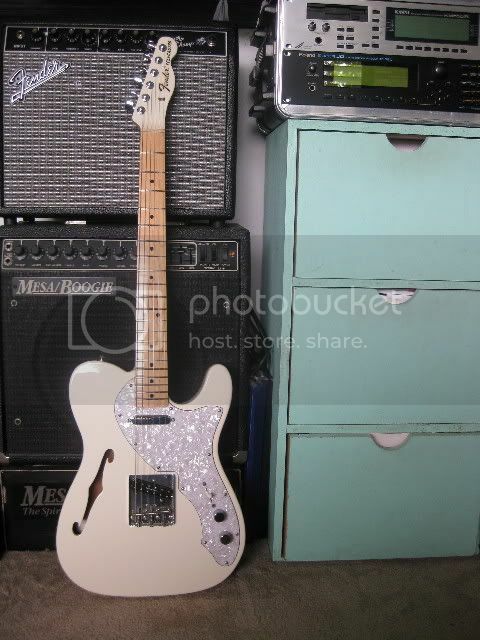 I know, that's the only thing I'm iffy about...the shiny pickguard. Setzer on the Gretsch Discussion Pages makes all kinds of custom pickguards. I was thinking black, or...brown tortoise shell. Black is too '50s for a thinline, imo. I'd lean towards pearloid like original '69. Congrats on your new guitar. I'm sure you're going to enjoy it. 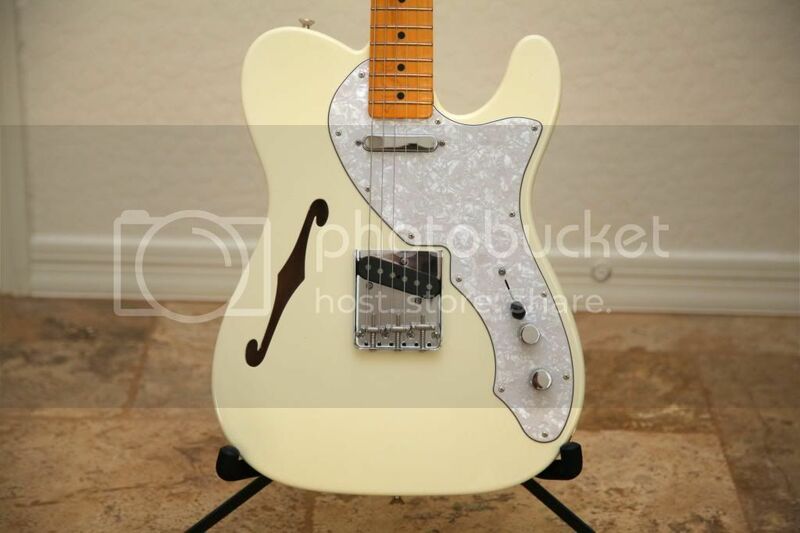 Here's my '69 Thinline reissue, although it's MIM. It was a limited edition model with matching headstock. I saw it in a store and it was love at first sight. I did change the pickups though - Lace Sensor Gold/neck and Duncan Little 59/bridge with coil split. Also added Schaller locking tuners. One thing I discovered when I made the pickup swap is that it came stock with 1 meg pots which make the guitar extremely bright. I changed them to 250k and I like it much better. Thanks for the feedback, guys...I think once I see it in person, I'll fall in love with the pearloid, Baxter. 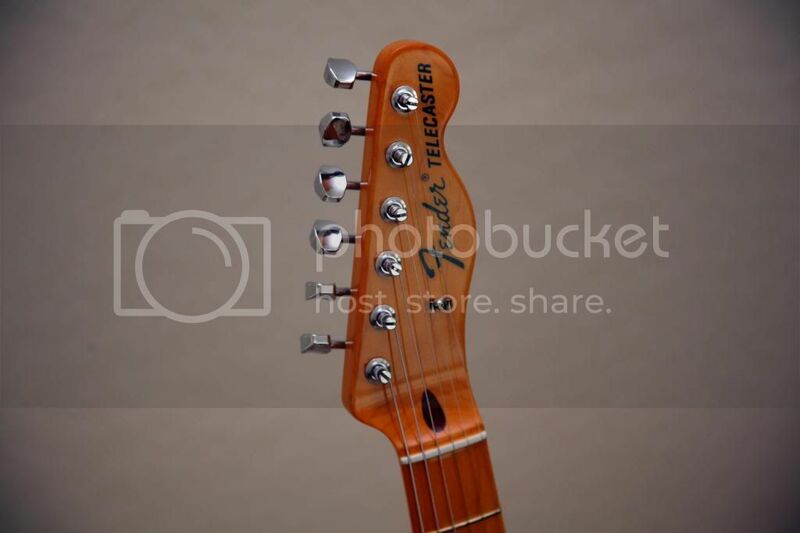 That matching headstock is really sharp, karma1. 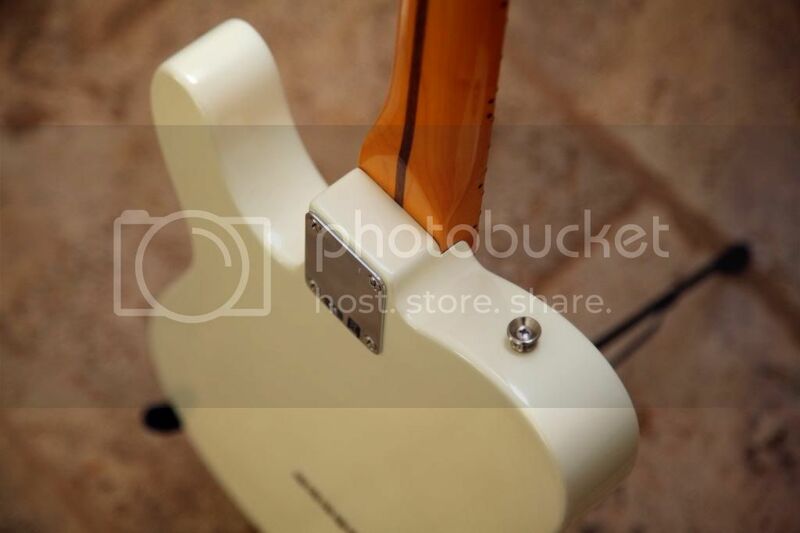 I have the avri 72 thinline that i love! I wonder if the new one comes with that bridge plate/cover deal...I guess I'll see when it arrives. It's shipping tomorrow. It does come with the bridge cover, an entire 2nd bridge plate for 6 saddles and a ton of other stuff (cable, cloth, strap...). Fender doesn't hold back on the case candy! Brown tortoise shell would be the winner in my book, especially nice as we all know how oly white changes with age... and with that vintage tint neck too..
A tip.. try some Grestch chrome arrow knobs on it...they fit a treat, look cool and work way better than standard barrel knobs, I wont use anything else on my tele these days. Thanks man! Yeah, my other guitar is a 6128-TDS, so I am definitely a Gretsch man. 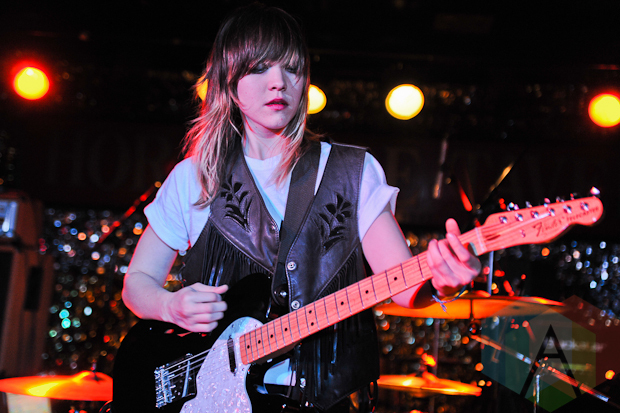 First impressions of the guitar: So much mojo....It's just everything you expect a high end Tele to be plus more. Super punchy, great sustain, nice bite from the strings when you dig into them. 7.5 Radius is a change for me, but I don't think I'll have too difficult a time getting used to it. 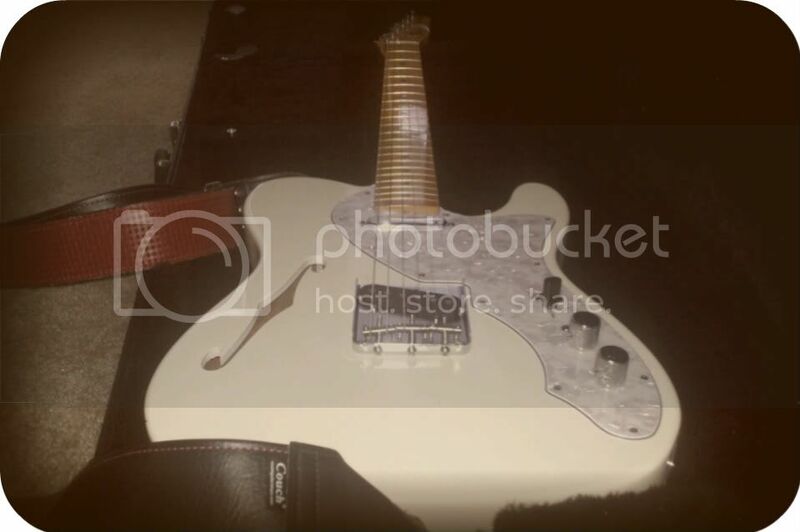 Build quality is immaculate, I don't know how this can be considered a used guitar...still had all the plastic on it (neck p/up, pick guard, etc...). I really got a steal on this guitar. I just got one of this, amazing guitar and I have to say, the quality of Fender's american vintage reissues is the best in years!! Hey, an old thread of mine comes to life! It plays better, and it's aging in just the right way. 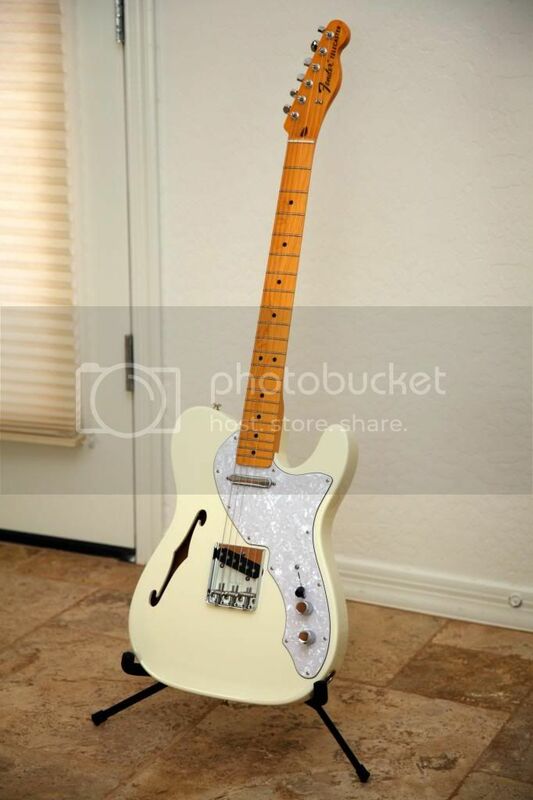 Love my Tele! 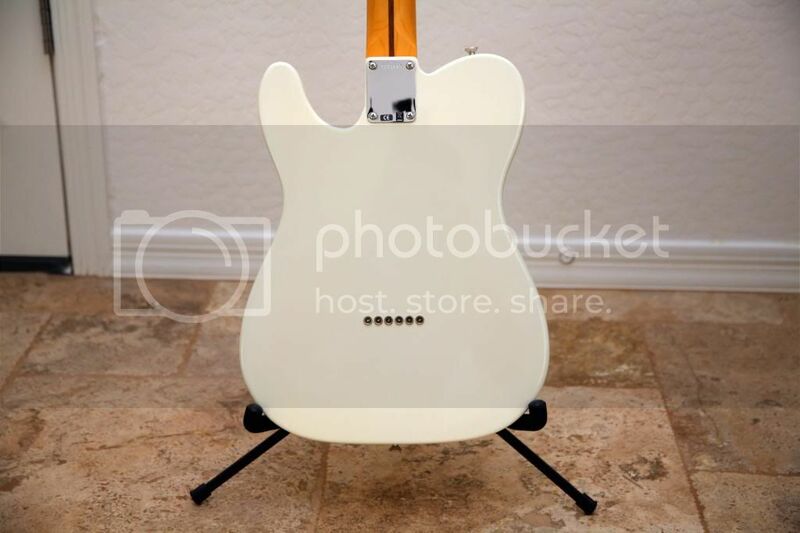 I've been debating if I like the vintage tele pickups or not and I was thinking about the Lollar vintage neck and special bridge combo as a substitute. I always change pots and caps anyway.